This post is largely dictated from a World Vision joint report, Childhood Interrupted: Children’s Voices from the Rohingya Refugee Crisis authored by Eline Severijnen and Linda Ridwan Steinbock. In only five months, over 655,500 people fled their homes in Myanmar and sought safety in neighboring Bangladesh. They fled widespread violence and horrific abuses. Among them, 58 percent are children under 18 years old. 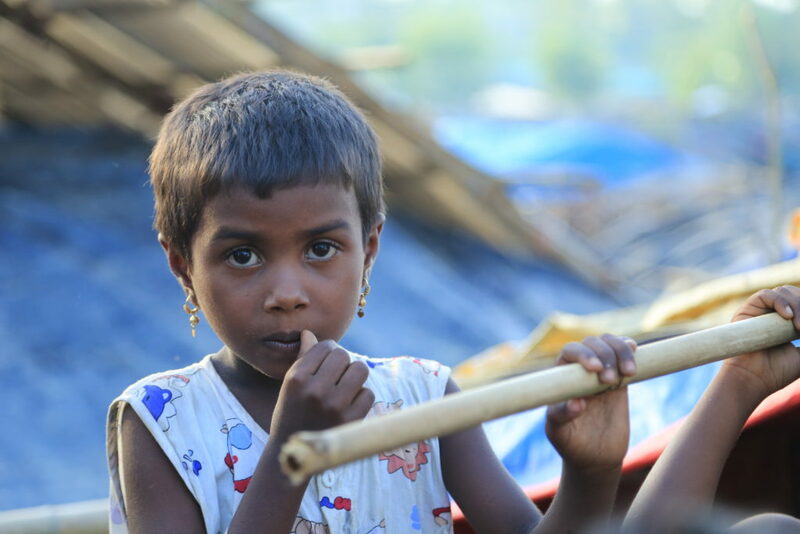 The refugee crisis impacting the Rohingya community is a children’s emergency. World Vision International joined two other organizations provided a platform for refugee children and children in host communities to speak out, to share their day-to-day experiences, needs and challenges, together with their fears and hopes for the future. A team in Bangladesh looking at the impacts of this refugee crisis spoke with 200 children, ages 7-17, and their mothers. Through different stories, children all communicated the same things. However, there is a bill in Congress that if passed, can help provide these children hope. We do not feel safe. Our families eat differently now. We are getting sick and live in dirty conditions. We want to feel safe. We want to learn and play. Our families need an income. We want to be healthy. One way to help make these things possible is to maintain pressure on governments, including the U.S. government, to help reduce conflict and fragility that drives refugee crises. The Global Fragility and Violence Reduction Act of 2018 (H.R. 5273) will strengthen the capacity of the United States to address root causes of violence and fragility. Below, ask your Representative to cosponsor this critical bill. Make your 280 characters count: edit the tweet, share why you care, or add a personal story! Let’s help teens and children, God make the World for all, not just for few .